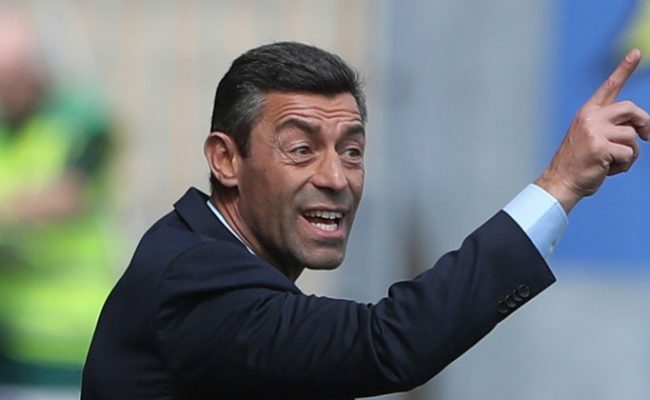 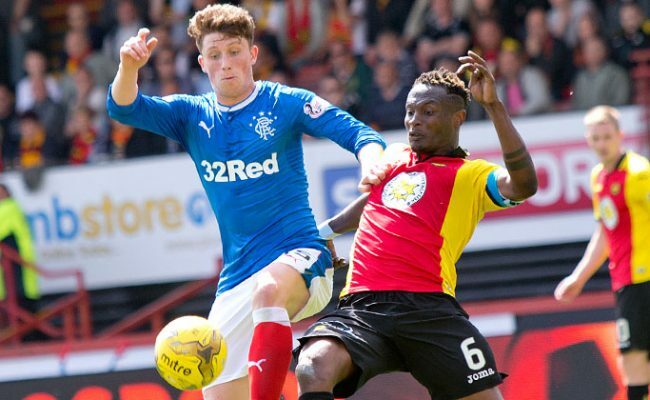 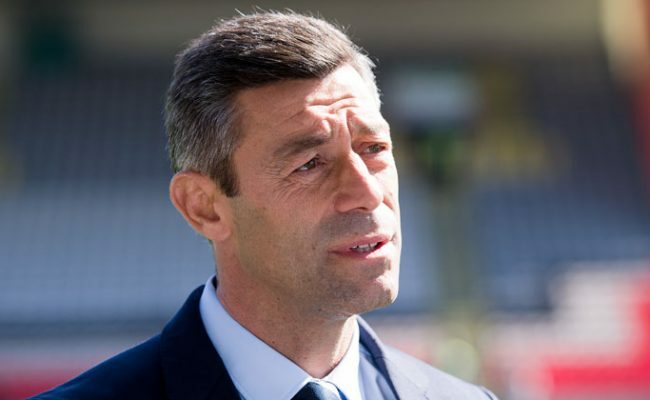 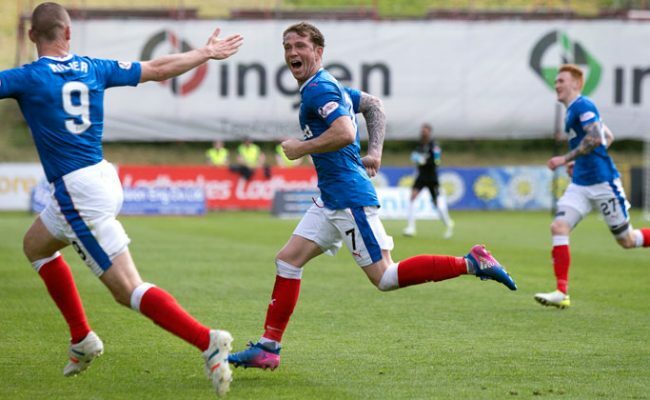 JOE GARNER headed a 94th minute winner as Rangers came from behind to defeat Partick Thistle and guarantee their place in next season’s Europa League. 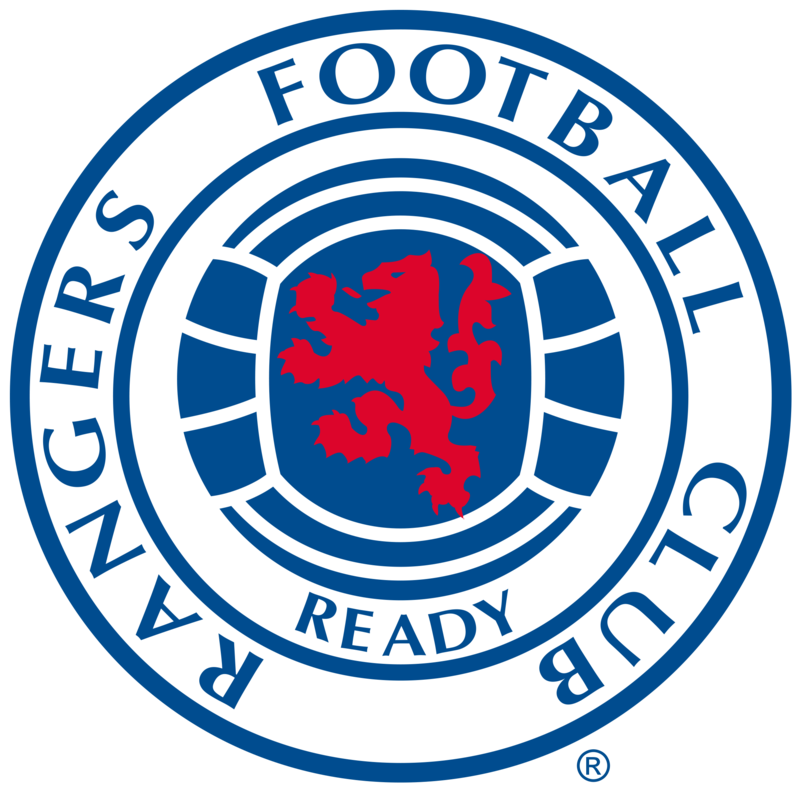 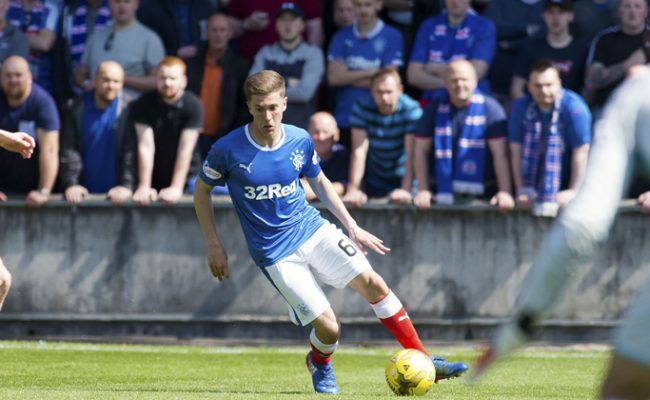 Trailing 1-0 to an early Chris Doolan strike, substitute Barrie McKay scored with eight minutes left before Garner won the game in injury time in almost a carbon copy of Gers last visit to Firhill in November, where Joe Dodoo struck right at the end to secure a comeback 2-1 win. 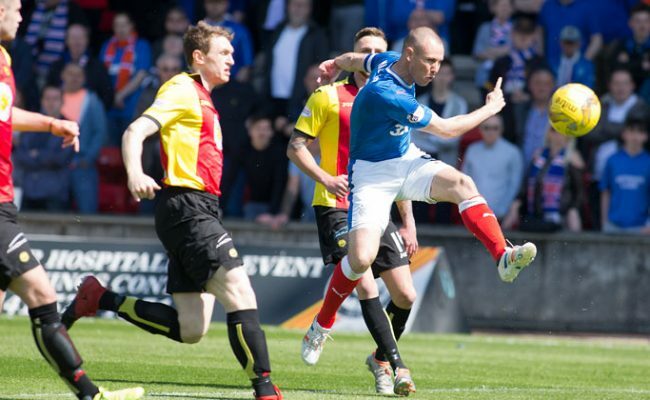 The Light Blues began the game brightly, with Kenny Miller having a decent effort on goal after just four minutes. 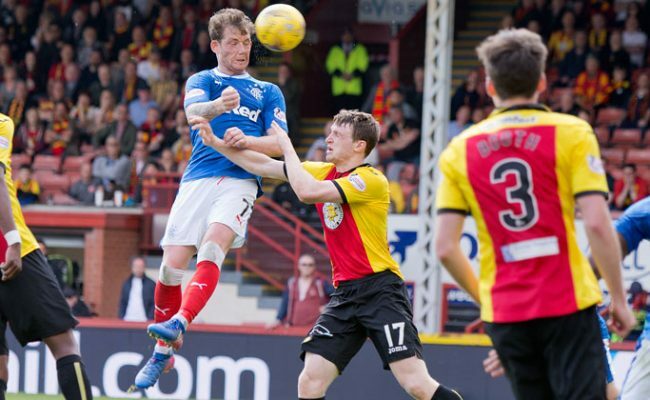 Joe Garner did well to win the ball in the air and knocked it down for Miller with his volley going just wide of the target.